The Food Pyramid Is Now a Plate! 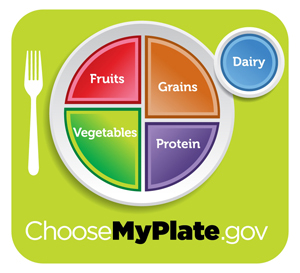 The food pyramid has been updated and has been turned into a plate! This is will be so much easier for people to understand as you can see clearly how to portion your meals. Keep in mind that grains and starches are no longer the largest food group, vegetables are. Each food group contains important nutrients that are responsible for keeping you healthy so make sure you maintain a well rounded diet.